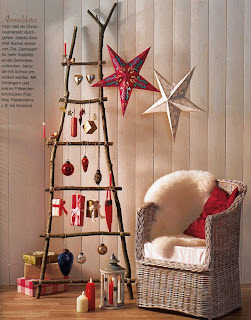 I love this homemade Christmas tree I found in one of the magazines. It is so easy to make and doesn't take up as much room as the real (or plastic) tree. 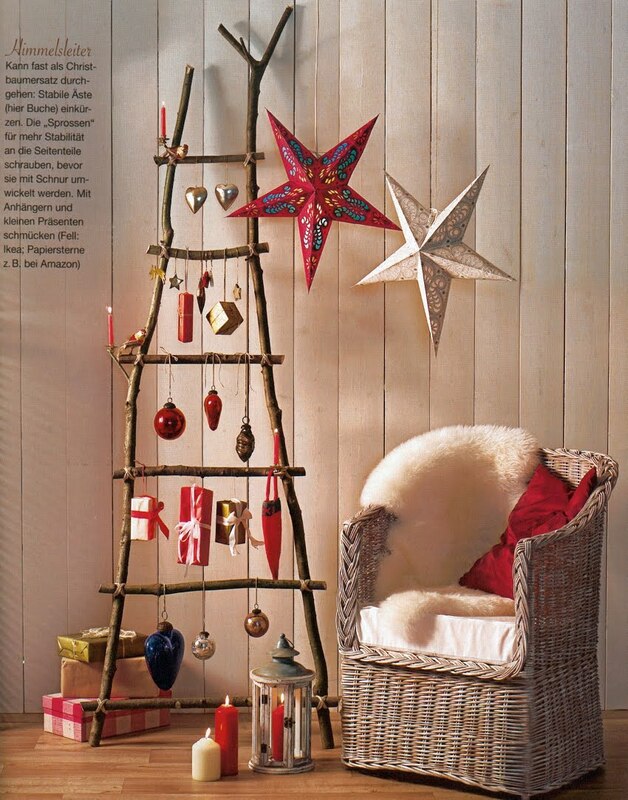 This decorative ladder can be made out of a few branches you find on your walk through the woods or local park. Just screw the branches together securely before tying them with a nicer looking string, hang some handmade ornaments (you can find plenty of those on Etsy...) and attach some metalic candle holders you get in a hardware store (or simply wrap some simple all-white Christmas lights around the branches). Free shipping for Loddelina woolies!